Many of us enjoy performing Card Flourishes because they are a challenge to display. They look cool, and audiences even take videos and photos to capture the moment. Great Card Flourishes will never die! As evidence, so many performers are inventing amazing moves. Now, let me introduce you my special series of moves -- Duragoun & Optimus Display. 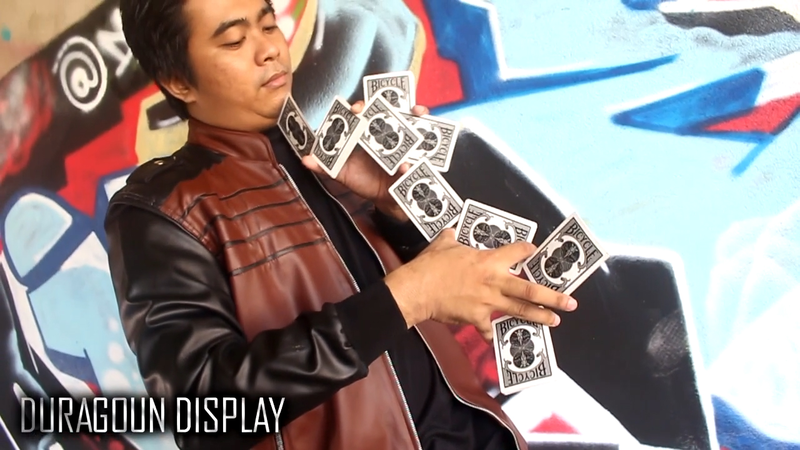 This is cardistry that enables you to look like a dragon, and Optimus Prime makes your hands an important part of the display! Download the video and learn it now!